I checked to make sure it wasn’t the April 1st issue of Science. The entire article is weird, including the fact that researchers are working out of an abandoned McDonald’s. Just another reason to start hunting those smug whales again. Apparently, if you believe the Google (or is it Topeka?) 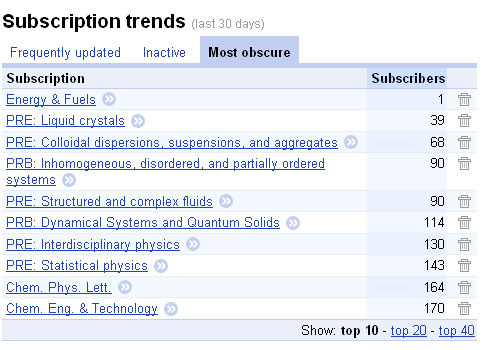 statistics, I’m the only person who reads the RSS of Energy and Fuels on Google Reader. As opposed to the 364 of you currently reading this on Google Reader.